FILE PHOTO: A T-Mobile sign on top of a T-Mobile retail store in Manhattan, New York, U.S., September 22, 2017. 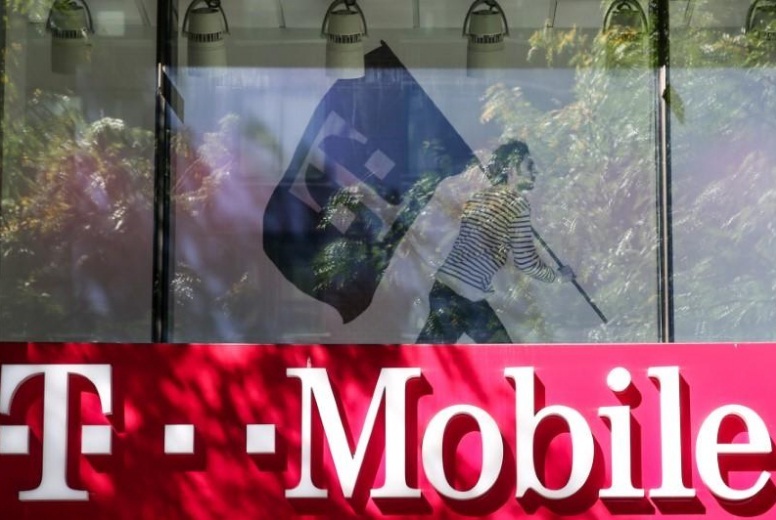 T-Mobile US Inc’s quarterly profit topped Wall Street analyst estimates and the No. 3 U.S. wireless carrier raised the lower end of its expected range of customer additions for the year but didn’t elaborate on a potential deal with rival Sprint Corp. The wireless carrier has said it is open to considering various strategic options and has acknowledged interest in talking with Sprint about a merger. Sources told Reuters in September that the companies were close to agreeing to tentative terms on a deal. The company, which declined to hold a post-earnings conference call, did not give details on the merger talks in its earnings report on Monday. Sprint is also scheduled to report earnings on Wednesday without holding a call. T-Mobile’s net income was $550 million, or 63 cents a share for the quarter ended Sept. 30, up from $366 million, or 42 cents a share in the year-earlier period. Revenue was $10.02 billion, up from $9.31 billion a year earlier. Analysts, on average, were expecting earnings of 46 cents per share and revenue of $10.01 billion, according to Thomson Reuters I/B/E/S. Shares were up 1.6 percent to $61.44 in pre-market trading. T-Mobile has been taking share from its larger rivals Verizon Communications Inc and AT&T Inc through cheaper prices and added perks. Last month, it began offering a free subscription to video streaming service Netflix Inc with its unlimited data family plans. The company added 595,000 subscribers who pay a monthly phone bill, down from the 851,000 net additions it reported in the year-earlier period. Analysts at Wells Fargo had expected 646,000. T-Mobile said the increase was less than last year due to more competition in the marketplace, the timing of a new iPhone launch and negative impact from hurricanes. Wall Street analysts have said consumers pushed out decisions to switch carriers until the fourth quarter when Apple Inc’s iPhone X is expected to debut. New phone launches typically give customers incentive to upgrade plans and change service providers. The company said it now expects to add 3.3 million to 3.6 million customers who pay a monthly bill, up from 3 million to 3.6 million. 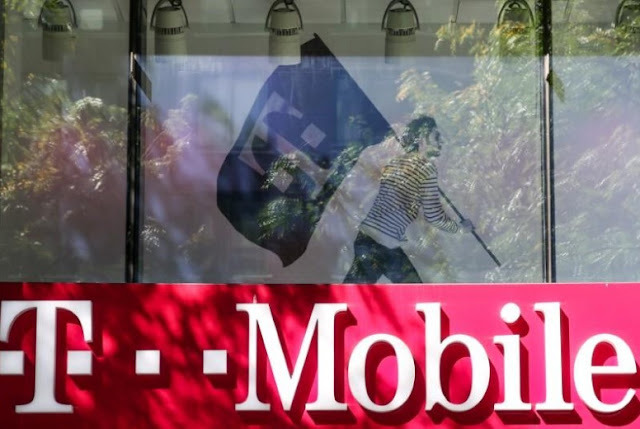 T-Mobile US Inc’s quarterly profit topped Wall Street analyst estimates and the No. 3 U.S. wireless carrier raised the lower end of its expected range of customer additions for the year but didn’t elaborate on a potential deal with rival Sprint Corp. The wireless carrier has said it is open to considering various strategic options and has acknowledged interest in talking with Sprint about a merger. Sources told Reuters in September that the companies were close to agreeing to tentative terms on a deal.